Towering at an elevation of 7135 meter, this peak in Suru Valley watches over the entire Zanskar area. The higher peak in the Nun-Kun massif, Mount Nun’s glittering presence could be felt from the moment you set foot in Leh with the twin peaks manifesting brilliantly along the road to Kargil. To mount this peak is a task for darers with true grit. Intensive glacial formations, icefall slopes, thoroughly crevassed surfaces, knife-edge cliffs, vertical ice walls, and unpredictable weather beset the expedition to Nun with thrills of a thousand kinds. Basic mountaineering course or, experience of successfully climbing at least 2 peaks of more than 6000 mt. or 19,700 ft. The climber must be fit and have sufficient stamina to cover 6 km of distance in 35 minutes without a stress. A goods carrying benchmark relevant in this expedition, the climber should be able to carry a 10 to 15 kg expedition bag pack. Heart problem, high blood pressure, asthma, and epilepsy cannot be reconciled on this mission. The climber must not have these conditions mentioned above. 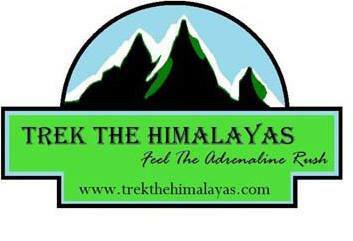 Our vehicle will receive you at the Delhi Airport and take you to the Hotel then relax for a while & post Lunch departure for mandatory visit to Indian Mountaineering foundation (IMF) for briefing and other important works. IMF also offers expensive essential equipment on rent for a nominal fee. After your arrival in the morning, you will be escorted to our 3-star establishment off the Leh main market area. If not reeling from jet-lag, you can keep the rest of the day for scouring the colorful bazaar full of fascinating items of cultural interests, or save it for the acclimatization day on Day 3. Network coverage is available in Leh, so it is a good day to conclude all your calls home. The Kushok Bakula Rimpochee airport in Leh, named after a prominent Buddhist monk of the order of the spituk Monastery is one of the highest airports in the world situated at 10, 682 ft. You will find the approach from Leh airport fascinating with soaring mountain terrain enclosing the area most strikingly. Afternoons in this vicinity is infamous for charged high winds therefore all arrival of flights are scheduled in the morning. You are likely to find the airport packed with Indian Army patrols and security measures tight. The second day is reserved for acclimatization and preparation in Leh. You can spend the day with your visit to different sightseeing points in and around. Leh’s Old Town is dominated by the ancient Leh Palace, a signature of the legacy of the ancient Kingdom of Ladakh, built by Dragpa Bumdey-the King. Situated on a high mountain ridge, this ancient palace overlooks the whole town. Wreathed in many an interesting curio and souvenir shops, the colorful Leh bazaar spreads out below. Starting out early, today is good to visit the network of ancient Buddhist monasteries strewn around Leh. Providing serene getaways from the hustle bustle of the town, the monasteries of Thikse, Namgyal Tsemo, Sangam and Hemis can be the perfect place to find some inner peace and fortitude needed for the hard days of climb coming up ahead. Our road trip starts early this morning after breakfast at the guest house and packed meal for lunch on the way. Meandering through a spectacular expanse of cold desert highlands, we will take the highway connecting Kashmir to Ladakh- National Highway 1, passing a number of notable sites as we go. The Great Himalayan rises and falls starkly on both sides of the road dramatically, a view from which it is hard to take your eyes off. After crossing Dras, we will pass by the Kargil War Memorial, remindful of the plight of the nation’s soldiers in the harshest of conditions, dead of the night and early morn, often in subzero temperatures and hostile foes firing from hidden corners with nowhere to run for cover. A little way further, we run into a beautiful blend of aquamarine colors at the confluence of Indus and Zanskar rivers. This point is about 6km from the village of Nimo, where we can stop for having our packed lunch and little something more on the sides. At 30 km off Leh, we will follow through the “magnetic hill” road towards Kargil This is actually a gravity hill that creates a fascinating illusion of an uphill road while the road is actually downhill. As a result, you will find locomotives moving ahead of you here appearing to roll in an ascending line uphill, challenging gravity to the core! In the vicinity of the magnetic hill region you will find the beautiful Gurduwara Pathar Sahib, found after a legend of the devil defying guru Nanak the father of Sikhism by throwing a pathar or rock. At about 100 km off Leh, right after Fotu La- the highest pass on this highway, we will enter the “moonland” of Lamayuru. Carved into the dry hills like moon terrains is the sandy mountainscape of Lamayuru. With a little time in your hands you can visit the Lamayuru gompa here. As a cautionary measure, come equipped with medicine for motion sickness as the snaky turns of this long journey can make any unaccustomed traveler oozy in the stomach. To beat the threats altitude sickness, make sure to stay thoroughly hydrated. After nightfall we will reach our guest house in Kargil. This morning by 7, we will off on our way through Suru Valley to the little hamlet of Tangul. Kargil has less to offer in terms of mountain peace and scenic beauty. It is a noisy and crowded little town lying between the high passes of Zozi La and Fotu La. Remember, this will be your last contact with amenities and civilization before taking off into the wilds. Utilize the available things in the local market and stock up on your supplies for the expedition. On a parallel with the Indus-tributary of Suru River we will inch closer to our mighty destination. The Nun-Kun massif by now will be eclipsing the sky along with the other presences of Zanskar range. A few other prominent villages that lines this way are- Sankhoo, Panikhar, and after Tangul, village Parkachik. Life in the Suru Valley with its little primary schools, farmlands, and houses with views to die for is endearing. As we move along towards Tangul, the vision of Nun-Kun magnifies, the details of them revealing. In Tangul, by the end of the roadhead, we will pitch our first tent in the expedition. The first day of trek is scheduled for 5-6 hour from Tangul to the base of the Nun-Kun massif at 4600 m. The path is free of snow but the experience of the weather will be biting cold. The challenge of today will be our first tryst with heavy load carriage and setting up facility at the base. We will be done with the set up by late evening and make sure to remain well rested through the night to start off next day’s challenging expedition. From Day 6 to Day 15, a routine of three camps will follow, namely- Advanced Base Camp (5400 m), Camp 1 (5800 m), and Summit Camp (6400 m). The route opens to a moraine and scree ridge sloping steeply up. Where the ridge slope ends, we will run into a glacier, initiating gearing with our technical climbing equipment. Depending on the group and according to the discretion of our advanced mountaineering lead, we can take acclimatization break of a day at around Day 8 at Camp 1 and on the same day an elaborate and practical tutorial on equipment usage will follow. Our advances hereon will be on fixed line, and the major challenge in this area will be to tackle an icefall of 200 meters on harnessed walk. Post the precarious icefall region, we will fall into a glacial plateau from where Nun will overshadow. Our advanced camp will be set here in this plane. From advanced base camp, we will negotiate descending to base camp and coming back up again, thus ferrying goods in two phases. Advanced base camp will make way for a traversing along the base line of the Nun mountain, continuing to 600 vertical meters on fixed rope harness. The time calculate for covering this area is approximately 6 hour. At a 5800 m, we will establish camp 1, followed by a descent to advanced base camp for night stay. Further ahead Camp1, a fully equipped technical climb continues to the rocky summit of a subsidiary peak. The highlights of challenge in this stretch will be steep snow slopes and a downward jaunt from a crevassed col. Camp 2 is to be set on a plateau of ice at 6400 meters, in an open area just below the summit climbing stretch of Nun. Ice slope ascent on fixed rope is the most difficult aspect of reaching in high plateau. The final summit climb will be reserved over two days, taking into consideration unsuccessful first attempts and resting gaps. The closing 2300 feet of summit landing is characterized by steep and narrow snow arête which is to be tackled on a fixed rope climbing. Nearly equal days of coming down to base camp will follow through a routine of load carrying, concluding the affair by day 16. From base camp, we will descend to Tangul roadhead and set up camp there. Starting early in the morning, we will drive from Tangul roadhead to Leh, a journey full of reminiscing to span over 11 to 12 hours, concluding with a well rested night stay in 3-star establishment. Early morning check out from hotel and transfer to Leh Airport to catch the flight to Delhi. Our vehicle will receive you at the Delhi Airport and take you to the Hotel. e) Porterage of all the equipment / supplies/ & personal baggage of max 15 kgs per member to & from Base Camp. 1. Expenses of personal nature such as tips, alcohol, laundry etc. 2. Medical / accident insurance / expenses for the trip group. 3. Personal equipments for the members i.e., trekking gear, clothes, Sleeping bag, climbing gear, climbing shoes, personal medical kit etc. 5. Any tax/entry fee imposed by the Govt. budget or new policy. 6. Liability for or insurance against injury, loss of life, accidents or loss of goods. 7. Charges for extra services, if any. 8. Company will not be responsible for any sort of unforeseen expenses incurred due unavoidable circumstances i.e. flight delay, road block, strike, mechanical fault, technical fault in the mode of transport, natural calamities, etc. 9. Anything not specifically mentioned under the above. The above-mentioned package cost has been calculated considering normal weather conditions. If any extra expenses are incurred due to snowfall, heavy rainfall etc. or due to any unavoidable circumstances then the same has to be paid by the expedition team.